Hawaii Real Estate Near the Top? I’ll admit it – I’m a geek. I like tech stuff and I like numbers. I loved stats class in those wintry days on Penn State campus (I lived around the corner from Joe Paterno). 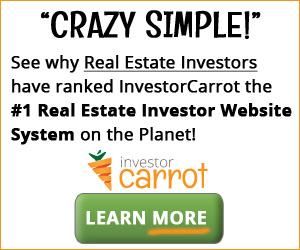 So when I see a website publish a list or ranking of real estate or whatever that applies to some facet of my daily life, I usually sit up and take notice. David Letterman’s no fool — Top Ten lists pull people in. Not only do we like these because they’re quick summaries (and free us from doing the grunt work to generate the rankings themselves), but Top Ten lists let us COMPARE things rather easily (and sound smart to the other folks at Starbucks). Even if there are enough Swiss cheese holes in the logic behind the lists’ methodologies, we still like the snapshot delivery of what’s likely going on. So yesterday I got an email from InmanNews. Like GeekEstate, another one of my favorites, InmanNews analyzes real estate across the country with a focus on the tech (“geek”) component. Here’s the story. If you check out that link, you’ll see that no Hawaii real estate market was in the Top Ten or Bottom Ten for average listing price between September 2010 and March 2011. This might surprise some folks, especially with people having trouble getting a mortgage around here. But others may point to the foreclosure mess that’s troubled our state (ranked #11th nationally last year) and say it makes sense. Listing price does not equal VALUE (or sold price). However, for quick and dirty rankings, it’s a reasonable facsimile here. If you look at the top ten, six of them are in California. So it’s not a state ranking but a metro market ranking. Don’t confuse them by falsely concluding that Hawaii’s average listing price is not in the top ten nationwide – whether it is or not is determined by calculating just that. Nowhere on that page do they rank by STATE, but markets WITHIN states. If you look at the third box, you’ll see eight markets that are more expensive than Honolulu. Again, this does not mean Honolulu is the 9th most expensive market in the nation (the first box already displays this), only that it ranks 9th in most expensive metro market per state. Meaningless? Yeah, probably! The ranking of Honolulu is assumably for the entire metro area, blending condos in Kalihi with homes in Manoa and Diamond Head. Does this skew the data? You bet it does! Does this same grain of salt hold true for all other cities listed? I would say yes. Does that render the point moot? Not necessarily because markets in other states may have a greater or smaller disparity between higher and lower-end neighborhoods (“the spread of data” or variance). What I do find interesting is the disparity between Honolulu and Waianae – $478,042. For those of us that live here, it’s not a surprise. Everyone basically knows where the higher and lower neighborhoods are for each of the Hawaiian Islands. But if you bust out your calculator and look at the disparities in other states, you’ll see that we’re not so different from the norm. That was a bit of an eye-opener for me as I always just assumed we had a bigger spread between the high and low here than most of the other states. Everyone’s tired of the tourist stampede year after year and wants to skip town. The falls are growing and people are worried their house is going to fall in and end up floating down the Niagara River. The buzz from the scene in Superman II has FINALLY wore off after 30 years. Ok, I kid, I kid. Just thought that was interesting. Anyway, are you a stats junkie? What do you make of those numbers? Agree, disagree, have a different spin? Be heard below!